The End of the New Country is on sale today! 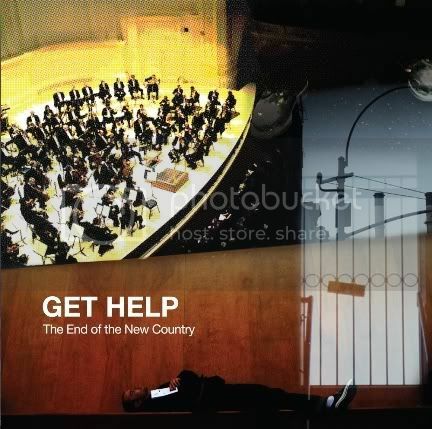 Get Help is a Super "Indie" Band - a collaboration that started with Tony Skakily from Boston’s beloved The Beatings , and Mike Ingenthron from New York City’s Strikes Again! The whole thing started as a songwriting project, but the early sessions proved to be so magical that Ingethron and Skakily were motivated to build a band and record together. Moody and entrenched in lyrical expression, these songs test the depths of the water without sounding somber. The End of the New Country could be the perfect record for right now - for these challenging times... NPR agrees. They reviewed the record last month and even featured the songs in their podcast! Take a listen to these two tracks and make plans to buy the record. Get Help unleash their debut CD tonight at Great Scott in Allston. If you can make it out, this should be a great night of live performances. Also on the bill Thunderhole, 28 Degree Taurus and Highly Personal Trash.